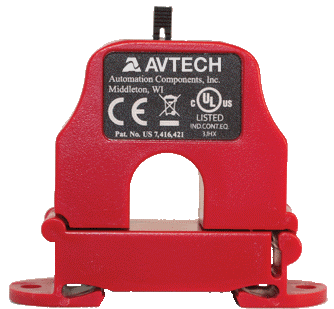 AVTECH’s Current Loop 1 Sensor (50A) monitors the electrical current flowing through a single-phase powered cable. It outputs a signal of 0 to 5 VDC (volts of direct current), which your built-in or external Room Alert Analog Sensor Port then converts into an amp (A) reading. 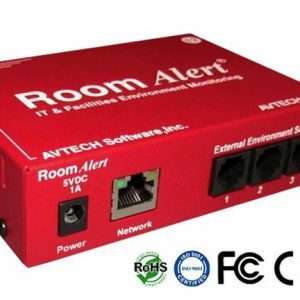 By pairing a Current Loop with your Room Alert monitor, you can easily determine the power consumption of an electrical appliance or device at your facility. The Current Loop can be easily moved to various appliances as needed and will help you monitor power consumption to determine if a power drop might be causing a problem or if an appliance is drawing too much power. The cost of electricity is one of the fastest growing costs and concerns for IT managers so knowing that a problem exists is the first step in resolving the problem. 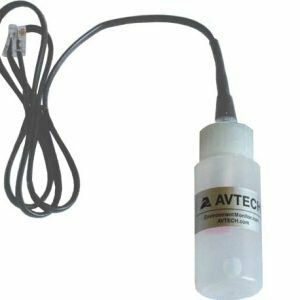 AVTECH’s Current Loop 1 Sensor monitors the electrical current flowing through a single-phase powered cable. It outputs a signal of 0 to 5 VDC (volts of direct current), which your built-in or external Room Alert Analog Sensor Port then converts into an amp (A) reading. 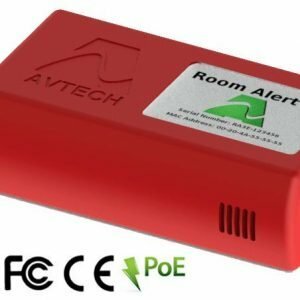 A current flow sensor paired with your Room Alert monitor, can be easily be used as an energy consumption monitor of an electrical appliance or device at your facility. 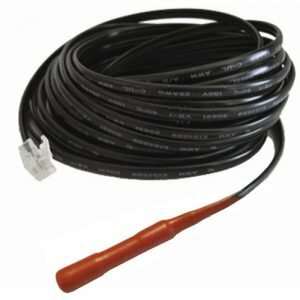 The Current Loop can be easily moved to various appliances as needed and will help you monitor power consumption to determine if a power drop might be causing a problem or if an appliance is drawing too much power. The cost of electricity is one of the fastest growing costs and concerns for IT managers so knowing that a problem exists is the first step in resolving the problem.